I made myself a replica of the Grand Canyon. 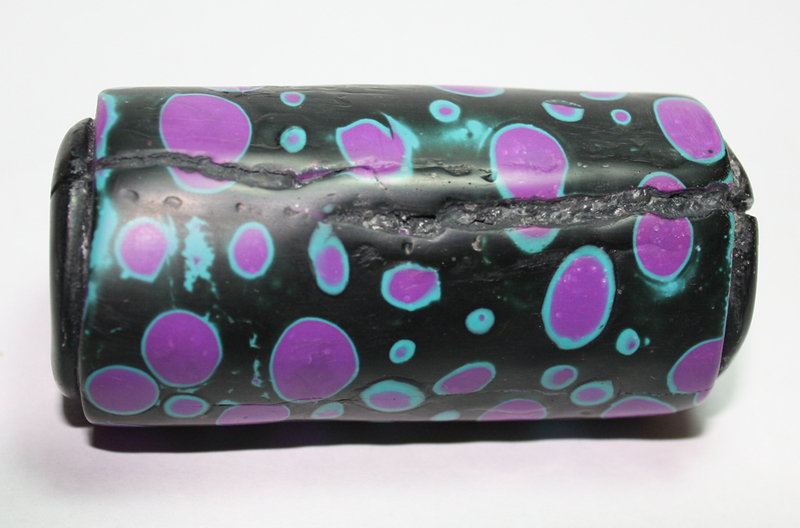 It wasn't meant to be the Grand Canyon, it was meant to be a tube bead but I think because of the thickness and my troublesome black Kato clay, some air got trapped and burst its way to the surface during baking. I was devastated when I took the bead out of the oven - it had such potential! 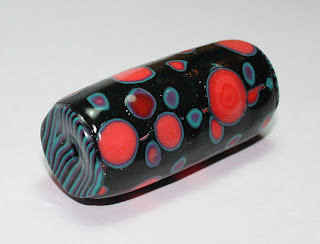 I tried in vain to rescue the bead and learned yet another important claying lesson - sometimes you just have to give up on a lost bead, it will save you time and heartache in the long run!! 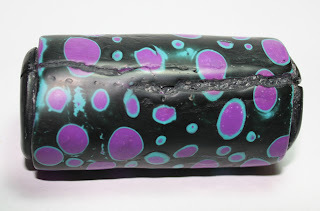 The Grand Canyon bead, shown in Image 1, is now dead to me but you can see in the image where I tried to patch it up with black-tinted liquid polymer clay. Images 2 and 3 show my successful bubble beads, made using the excellent tutorial by the very talented Ponsawan Sila. Here's the link (I think you have to scroll down a little way). One of these beads will be made up into a neckpiece I will give my honours student for her graduation, as she took to calling herself "bubble girl" when she first started using a pipette! 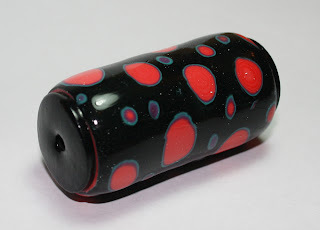 Image 1: The Grand Canyon bead in all its ugly glory!